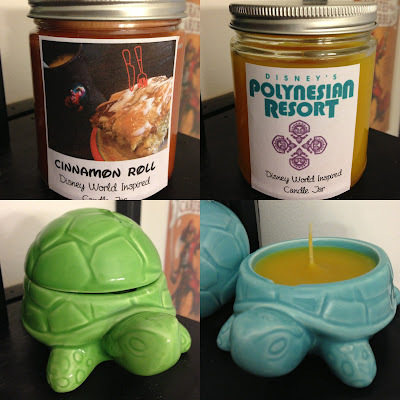 Picturing Disney: New Disney Parks Inspired Items on Etsy! As many of my regular readers, fans who found my site from Etsy, and regular visitors to my Facebook and Instagram pages know I love being crafty and when I need to pass the time or if I want to keep my mind off of something I like to find a project. This week I crafted some new items for the Etsy shop. If you are new here I upcycle Disney World inspired scents (my two anchor scents in the past have been Mickey Waffles and Polynesian Resort with Poly being the most popular of all).